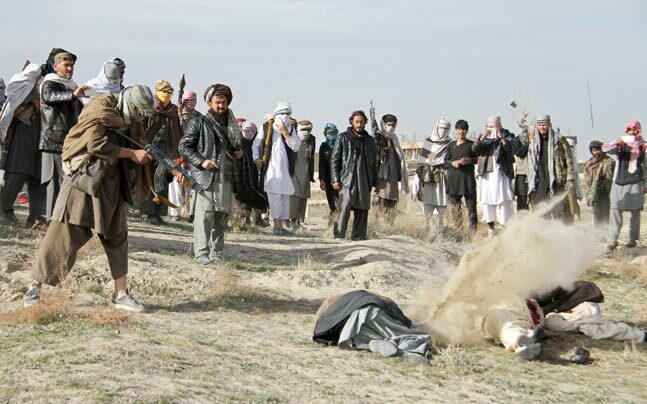 <link>KABUL - The Taliban have executed one of their former commanders on charges of having links with the Islamic State of Iraq and Syria (ISIS) loyalists in eastern Nangarhar province of Afghanistan . The police commandment of Nangarhar in a statement said Saturday that the former Taliban commander was killed in Dur Baba district on Friday. The statement further added that the ex-Taliban commander identified as Rahmatullah was killed at around 2 pm local time in Aman Kot district. According to the provincial police commandment, Rahmatullah was accused of having links with the ISIS loyalists and was executed by his ex-comrades. The anti-government armed militant groups including the Taliban and ISIS loyalists have not commented regarding the report so far. Nangarhar is among the relatively calm provinces in East of Afghanistan where fewer incidents have been reported since the fall of the Taliban regime. However, since the year 2014, reports continue to emerge regarding the growing insurgency activities of the ISIS terrorist groups in some remote parts of the province, including Achin.